If your brand demonstrates human-like behaviours you create stronger emotional bonds with people, according to Karmarama's latest research. The research uncovers eight steps to reach this goal – download the expert report to discover those steps. 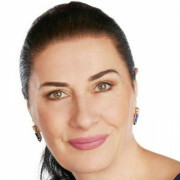 Women have a huge influence on the UK consumer economy. 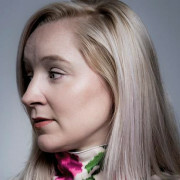 Brands and advertisers have become smarter at selling to women, but retail experiences for women in some sectors still aren’t reflecting their needs and wants. 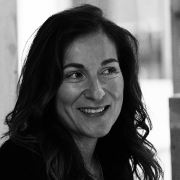 Tune into this webinar, in association with Green Room, to understand why human experiences – particularly around female customers – are integral to your brand success. Are you using consumer research to its full potential? 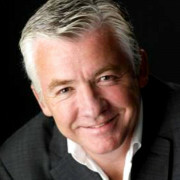 You know that truly understanding your customers is one of the most valuable things you can do you for your business. But why are so many brands and businesses not taking the time to make this a priority? 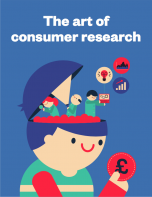 This whitepaper bought to you in partnership with scalable intelligence platform Attest, will help you to understand why consumer research is vital to all brands and businesses. 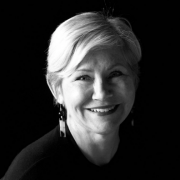 How far do the things that make us human affect the way we see and interact with a brand? The answer is… infinitely. The human experience should be the major driving force for brands and marketers. But in a digital era of AI, bots and data, is it being forgotten? Campaign’s Jeremy Lee speaks to Green Room's Fraser Warren, Kantar TNS' Tim Pritchard and Style Psychology's Kate Nightingale to get to the heart of the issues. How can we create more sensory experiences, customer service and personalisation throughout the customer journey? Can technology intensify and add to the human experience? How effective is your approach to gathering consumer insights? Mobile means brands have a deeper understanding of their customers than ever before thanks to signed-in experiences. 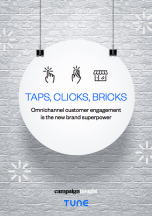 But how are brands adapting as commerce continues to change? The environment in which brands operate today is moving exponentially, leaving them with less control than ever. The good news? Less control can actually mean more opportunity. Brands must work out whether they are propelling their brand, if someone else is propelling it – or both. 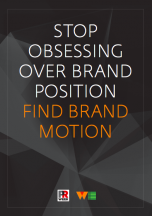 Download this infographic, in partnership with WE Communications to reveal the findings of our study- Brands In Motion. This expert report explores how paying more attention to capturing consumer's attention can lead to high brand recall and ROI. 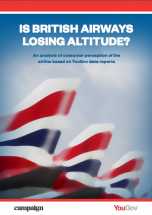 Is British Airways losing altitude? Using the airline as a case study, this report reveals how intimate knowledge and data about a specific type of customer can help win back loyalty and brand love. 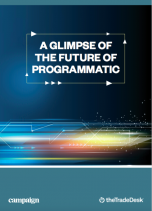 In a bid to find out what role programmatic should play in brand marketing in the future, Campaign, in association with The Trade Desk, commissioned a wide-reaching, six-week industry survey. Download this report to read a series of interviews with industry experts from both the brand and agency side. Mobile is no longer about the device itself. 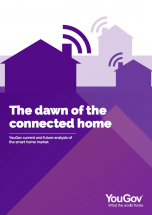 Its true value lies in the expansive connectivity the device provides, and the unparalleled insight into consumer behaviour that this connectivity allows. 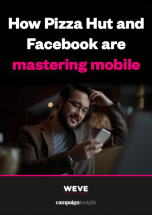 Download this expert report, in partnership with Weve, to discover what mobile, digital and brand marketers from agencies and brands expect from mobile in 2018. Many advertisers remain unsatisfied with the metrics we use to measure success, which are open to misunderstanding and manipulation. 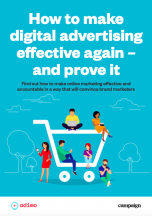 Download this expert report to find out how to make online marketing effective and accountable. 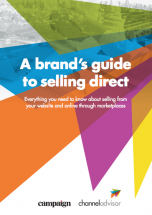 This guide reveals everything you need to know about selling from your website and online through marketplaces.